Whiskey Tango Foxtrot, directed by Glenn Ficarra and John Requa, is based off of the book "The Taliban Shuffle: Strange Days in Afghanistan and Pakistan" by Kim Parker. The movie stars Tina Fey, Margot Robbie, Martin Freeman, Alfred Molina, Christopher Abbott, Billy Bob Thornton, and Nicholas Braun. Kim Barker is a journalist who has been sent to Afghanistan and Pakistan to cover U.S. military operations. 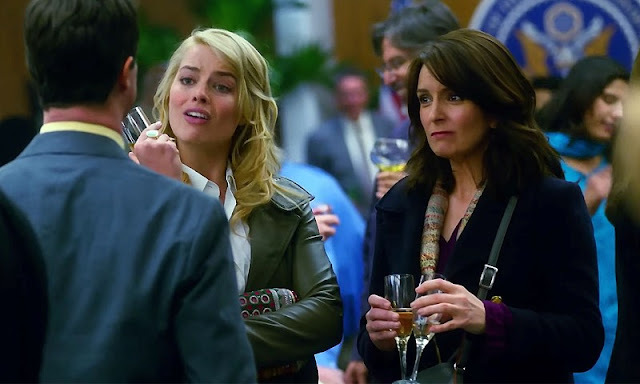 At first glance, and based on the title, you would think this is yet another wacky comedy by Tina Fey but it's not. To me, this movie never quite knew what it wanted to be and didn't succeed at becoming anything more than a mediocre movie. One thing that is especially concerning about this film is the casting of an Englishman and an American in the roles of Afghan men. Aren't we supposed to be outraged at this type of white washed casting? Just a thought. 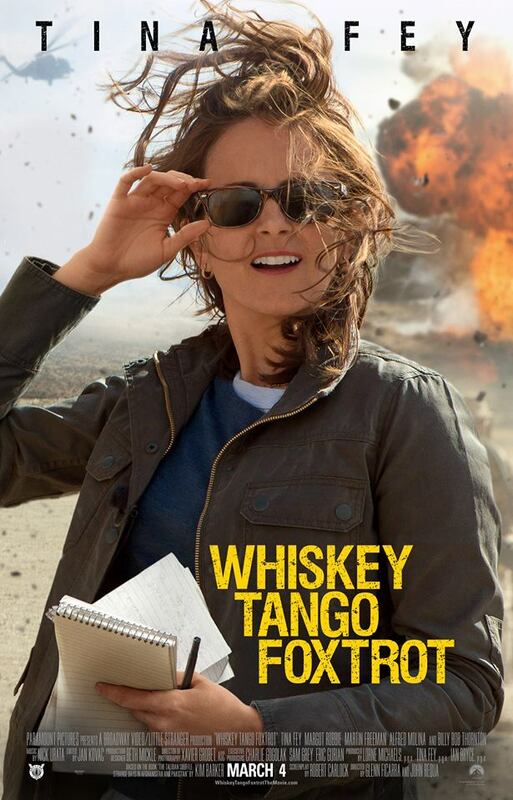 After watching Whiskey Tango Foxtrot, all I could really say was "WTF?" As a comedy, it's not very funny and, as a drama, it just falls flat leaving a confused mess of a film that really didn't make any sense to me.